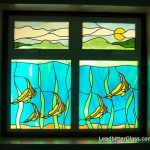 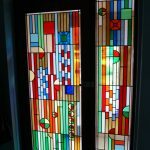 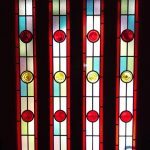 These Overlay Stained Glass Bay Window designs are suitable for five part bay windows. 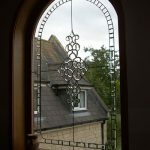 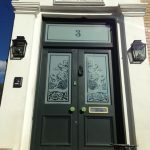 We can also copy your original bay window design and have this incorporated into your new double glazed windows. 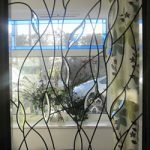 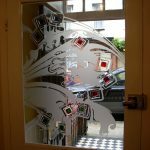 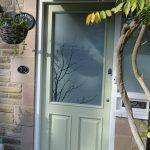 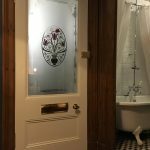 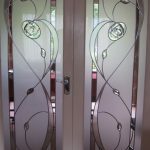 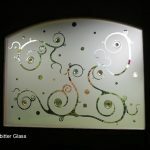 All designs can be created in any size or shape glass. 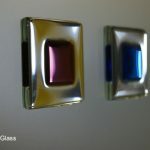 Colours can also be swapped to suit your own taste and preference.